Has anyone looked at the new 2018 Honda NM4? WOW! This is a great looking machine. Could this be the Silverwing replacement? Has anyone out there ridden one of these yet? There's one guy I can think on here that bought one a couple of years ago, forum name dspevack. If you look at his Profile for the Topics he's posted in, you'll find out about his NM4, his mods and add ons etc. There is NO way this could be the SW replacement. I love my Silverwing and now I realize "replacement" was not the word I should have used. Is the word "upgrade" less offensive? The bikes are similar with the NM4 having a slightly larger engine and an automatic transmission getting 61 MPG. It is a bit pricey and I wonder about the storage aspect. I saw one the other day at a dealership. It was what Honda calls Satin Black Metallic and it was a stunning looking bike. Please remember that I truly love my Silverwing and don't have any plans to ever sell it but I will keep an open mind at least long enough to go ride and test this beautiful bike. Thank you for welcome conversation and as always....RIDE OFTEN! A bit more poking around shows the Honda NM4 Vultus to be a 2016-2017 model. No doubt it's oddball looks polarised opinions in the same way the Honda DN-01 or ’Do Not-Order 1’ did a few years earlier. There definitely IS a 2018 NM4 for sale here in the US. I looked at one a few days ago in Winston Salem, N.C. It has a pricey 11,299 tag on it. Oddball looks? 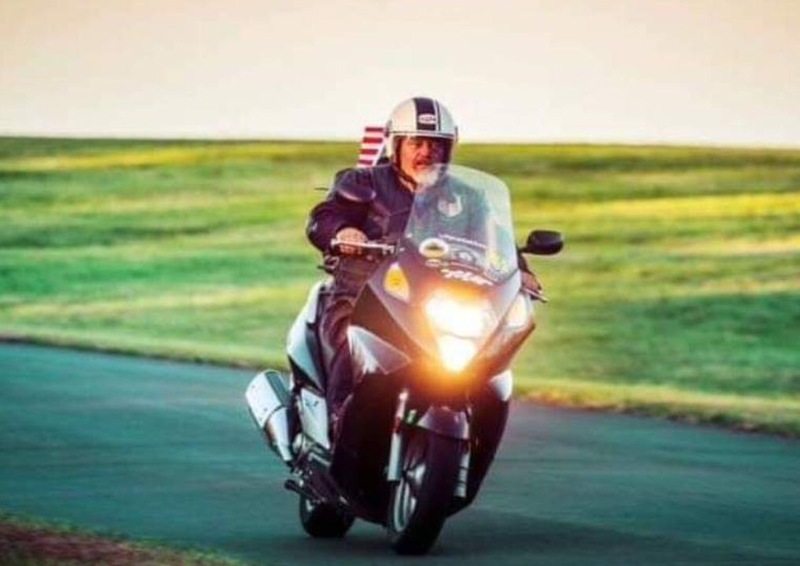 I'm an old feller at 64 and I have ridden an array of motorcycles through my life and I am pretty hard to impress. That being said....the looks of this Honda has impressed me. We all have different opinions on everything in life and I really appreciate all feedback from every one of you. My only worry is whether I can get my old leg over it! The step through design of my Silverwing is awesome so throwing an old leg again does concern me. I may be getting older but if I can climb on I can and will ride long and sometimes hard. Ride Often ! I had looked at one earlier with the intentions of purchasing it. Another local rider purchased one. I lost my enthusiasm after seeing it in the wild instead of the showroom and web. For me, chain and storage were the first things that changed my mind. I do like the design, DCT, and decent mileage. The chain is a real consideration for sure. More maintenance is never good. What is the situation with the storage.........less than my Silverwing? It sounds like most things considered...price...storage...chain...that the Silverwing is still the way to go (or stay). Possibly the looks may not be enough to justify the price but I am still going to go Tuesday and look closer and RIDE it. You folks are a valued resource.......RIDE OFTEN!